NBC has come under scrutiny for sitting on a story for weeks that discredited Supreme Court Justice Brett Kavanaugh accuser Julie Swetnick. Michael Avenatti, a lawyer for Swetnick, put NBC reporter Kate Snow in touch in late September with a woman he claimed would back up Swetnick’s allegations against Kavanaugh. Snow withheld those details until Thursday. Under fire, she says she stands by her reporting. An NBC News reporter accused of withholding a story that undercut allegations that Justice Brett Kavanaugh drugged girls at parties in high school is defending her reporting, though questions remain about why the network sat on the story for more than three weeks. “Important context to my and @annaschecter’s story regarding a second woman Michael Avenatti put forward to corroborate Julie Swetnick’s claims about Brett Kavanaugh,” Kate Snow, the reporter, wrote Saturday in a Twitter thread. Snow went on to defend an Oct. 1 interview she did with Swetnick regarding her allegations in a sworn declaration that she saw Kavanaugh spike girls’ drinks at parties where gang rapes occurred. For a story on Swetnick, Avenatti put Snow in contact with a woman on Sept. 30 who the anti-Trump lawyer claimed would back Swetnick’s story that Kavanaugh mistreated girls in high school. Instead, the woman said she never saw Kavanaugh misbehave or drug girls’ drinks. “I didn’t ever think it was Brett,” the unidentified woman told NBC when asked if Kavanaugh spiked drinks at parties. The woman, who said she knew Kavanaugh in high school, also said she never witnessed him behaving inappropriately with girls. During their interview the next day, Snow challenged Swetnick over inconsistencies in her story. But the reporter did not reveal the interaction with the purported witness provided by Avenatti. Avenatti released a declaration from the woman on Oct. 2. 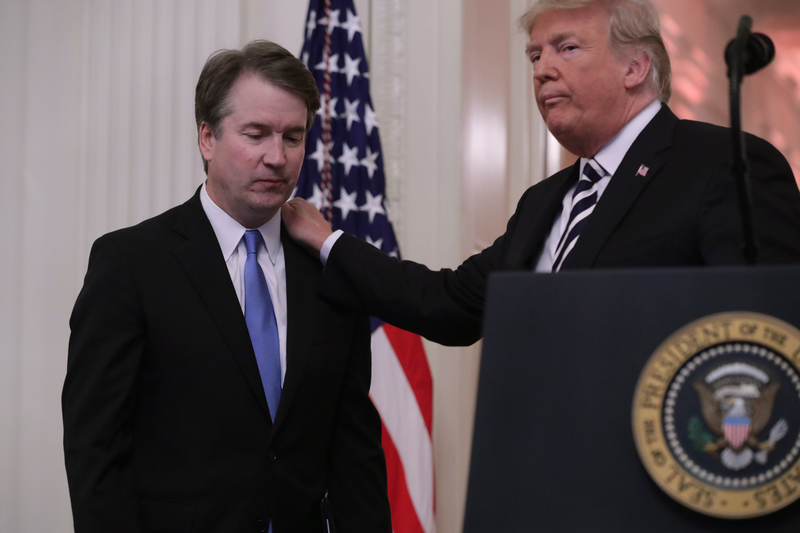 “During the years 1981-82, I witnessed firsthand Brett Kavanaugh, together with others, ‘spike’ the ‘punch’ at house parties I attended with Quaaludes and/or grain alcohol. I understood this was being done for the purpose of making girls more likely to engage in sexual acts and less likely to say ‘No,'” reads the declaration, which Avenatti released on Twitter and submitted to the Senate Judiciary Committee. Snow said on Twitter that she realized that the declaration contradicted what the woman had told her on the phone days before. She reported Thursday that Avenatti initially confirmed that the declaration was from the same woman who spoke to NBC. But when asked about discrepancies in her statement, Avenatti said it was a different person. Snow reported Thursday that NBC was able to contact the woman just after Avenatti released the declaration. They interacted from Oct. 2 through Oct. 5, the day before Kavanaugh’s confirmation vote. “It is incorrect that I saw Brett spike the punch. I didn’t see anyone spike the punch … I was very clear with Michael Avenatti from day one,” she told NBC on Oct. 4. The woman told NBC News on Oct. 5 that she would no longer be communicating with Avenatti. But Snow said Saturday that NBC was only able to contact the woman after Kavanaugh’s confirmation. “By the time we were able to find the woman independently from Mr. Avenatti, who declined to give us her full legal name and phone number, and fully report and vet her story, the Kavanaugh confirmation process was over and the news value was limited,” she tweeted. Snow did not explain the discrepancy in the timeline when asked about it on social media. Snow claimed that NBC ran Thursday’s story because it “became newsworthy again” after Senate Judiciary Committee Chairman Chuck Grassley referred both Avenatti and Swetnick to the Department of Justice for investigation into whether they made false statements to Congress. 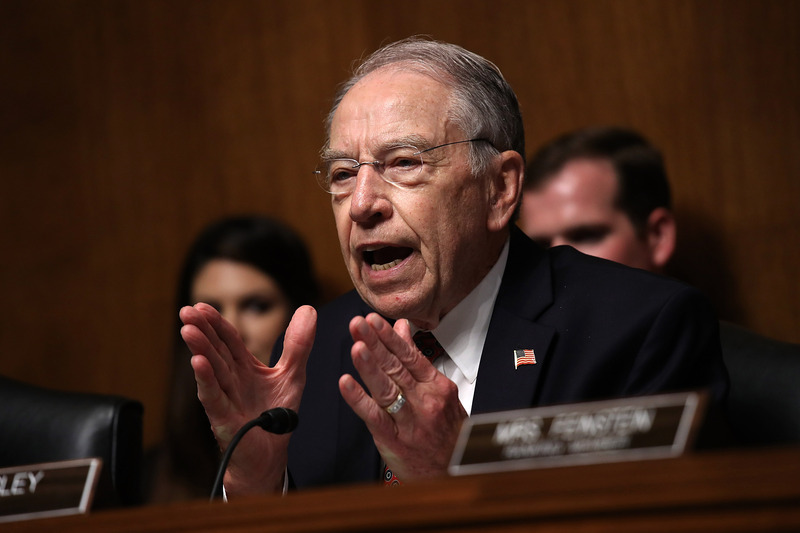 Grassley issued a second referral against Avenatti on Friday in response to NBC’s report. NBC’s interactions with Avenatti would also seem to be newsworthy given the attorney’s plans to run for president in 2020.